Imagine being called up by the President of the United States and being asked to come serve on his cabinet. The future of the entire country is on the line, and he wants your assistance. What would you do? What would you say? Now, it’s highly unlikely that you will receive that call! I’m certain that God will call you, just as he called Moses, and he called me. God is a God who calls people to Him. God is a personal God and a knowable God and He desires a relationship with us. In our passage, we see that we are called by God and are asked to serve for Him. What will you do? What will you say? In review, Moses grew up very aware of his heritage. He may have been raised as a Prince of Egypt, but he knew injustice against his people when he saw it. As a young man he killed an Egyptian who was brutalizing another Hebrew. Justified or not, word got out and this lapse in judgment put Moses in hot water with Pharaoh. When a king is out to get you, it’s time to leave the kingdom, so Moses ran until he found himself in a place called Midian, located in part of what is now Western Saudi Arabia. Moses would go on to spend 40 years there – fully 1/3 of his life – as a shepherd for his father-in-law. It was at the end of this period of time that he received the call that would change his life. During the interview that would follow his words, “Here I am,” Moses would display reverence, fear, curiosity and plenty of excuses. Like Moses, there’s no doubt that when we hear the call of God, we’ll experience a whole range of emotions. But the measure of encounter is bound up in our willingness to respond in obedience to that call. God knew where Moses was. He knew the concerns, the frustration and the desires of Moses’ heart. God had also heard the cries of the Children of Israel. All of this time, Moses had been on a training mission. God was preparing him for bigger and better things and making him ready to carry out the call of God in his life. “A theophany is a manifestation of God in the Bible that is tangible to the human senses. In its most restrictive sense, it is a visible appearance of God in the Old Testament.” A Christophany is a pre-incarnate appearance of Christ in the Old Testament. Jesus was speaking to Moses through the burning bush. Jesus is still speaking and calling people to Himself. I’ll never forget attending a revival service with my parents when I was 11 years old and through the evangelist, I understood that I knew about God, but I didn’t know Him personally and that through Jesus Christ, I could have a relationship with God. I asked Jesus into my life that night. My life changed from one of fear, uncertainty to one of feeling accepted and loved by Jesus, knowing my sins were forgiven and knowing that I was a child of God. I’m thankful for Jesus calling me when I was 11. Have you responded to Jesus call of salvation? You can today by simply praying, “Thank you Jesus for loving me and dying on the cross for me. I don’t understand it all, but I ask you into my life, turning from my sins and turning to you.” Amen. I also believe like Moses, that God calls us to serve him. Moses had a task that God had called him to do. He was to lead God’s people out of slavery into the promise land. As believers we are all called to ministry. We are called to be a loving spouse. No one can or should love Niki the way that I am called to. I have a responsibility to her, this is my ministry. Going on a date and spending time with Niki is a ministry! God has given me three children. I am called to parent them, to bring them up to know God. It is my responsibility. Sure school, church and family may help me, but it’s my calling to parent my children. Changing a diaper is a ministry! We are called to be salt and light in a dark world, to make a difference where we live and work. We have a ministry to our neighbors and co-workers. It is our responsibility to help lead people to Jesus. Your day to day job is a ministry! Will you accept the call to your spouse, kids, neighbors and co-workers? We have a choice. We can make excuses like Moses did, which I have done plenty of times too. Why wouldn’t we make excuses? Its human nature to feel like we are out of our league, but God promises to be with us, and to teach us what to say. Some of you are like me. I have often wondered why God would call a person like me. I’m nothing special in my eyes; there are others who are smarter, stronger, better communicators, and better leaders. I’m called to know Jesus, serve Jesus and another call I have had is to lead a church as a pastor. I know that God has been with me to teach me and train me to be what he wanted me to be. All of my life has been a preparation time for this day, this hour, and this church. And I’m still in training for the ministry that lies ahead. Know this: God will not call you to go and give you a message and then leave you in the dark about how to get it out. Wait on Him to finish. Moses received great detail from God concerning what he was to do and to whom he was to speak when he returned to Egypt. We can expect similar direction. When we receive and listen to that guidance from God we won’t overreach and try to do things we’re not prepared for and we won’t underestimate what God wants to do and miss out on greater things. There’s probably someone reading this, that has been hearing the call of God in your own life. Just like a bush that’s burning, there are unmistakable signs that He’s got your number. Maybe you are hearing God calling you to give Him control of your life, experiencing a call to involvement in ministry or to helping people. Wherever we are in life, if God is calling, listen to His voice. Come to him right now and find the fulfillment of being exactly where God made us to be. I’m thankful for God’s call, that I know Jesus personally, that I have purpose as a spouse, dad and pastor. I pray that you will answer God’s call too. 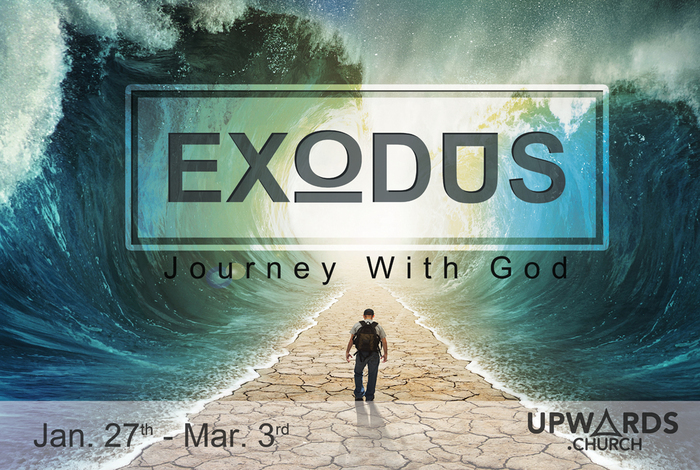 This entry was posted in Journey with God - Exodus and tagged Burning Bush, Exodus, Exodus 3, God's call, I AM, Jesus, marriage, ministry, parenting, salvation, vocation, Yahweh. Bookmark the permalink.